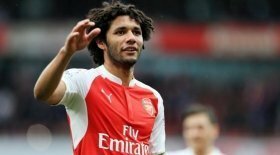 Elneny to depart Arsenal for pastures new? Versatile midfielder Mohamed Elneny is wanted by Italian giants AS Roma. The Egyptian star is said to be willing to leave the Emirates in search of regular first team action, with Italy known to be his preferred destination. Elneny has so far failed to set alight the Premier League since making a move to England and has often been on the substitute's bench for Arsenal. The arrival of Unai Emery has seen Elneny's playing time significantly reduced at the club and the 26-year-old is aware that a lack of playing time could impact his chances of further international honours. Roma are ready to splash the cash in January and are ready to spend approximately 15 million euros to sign Elneny, who has 1 and a half years remaining on his contract with the Gunners. Coach Unai Emery has told Elneny that he is free to leave on loan during the January transfer window and is open to the idea of selling the midfielder on a permanent deal during the summer, with a major overhaul of Arsenal's squad expected as soon as the June transfer window opens.